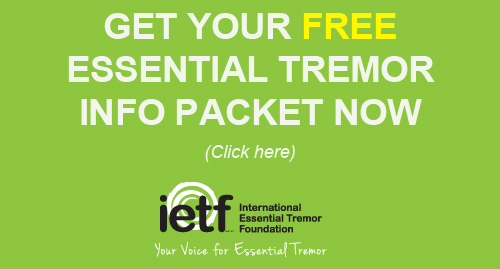 We have made significant progress with the IETF grant and we further characterized the novel pathological features of essential tremor (ET). Specific Aim 1: To study abnormal climbing fiber-Purkinje cell (CF-PC) synapses in controls, essential tremor (ET), Parkinson’s disease (PD), multiple system atrophy (MSA), and spinocerebellar ataxia type 1 (SCA1). We successfully performed immunohistochemistry of vesicular glutamate transporter type 2 (VGlut2) to visualize the synaptic punta of CF-PC synapses in the molecular layer. We studied 25 controls with different ages, 20 ET cases, 10 PD cases, 10 MSA cases, and 10 SCA cases. Interestingly, we discovered that each disease had its unique climbing fiber pathology. ET cases had decreased CF synaptic density, CF extending to the parallel fiber (PF) territories in the outer 20% of the molecular layer, and more CF synapses on the thin, spiny PC dendritic branchlets. PD cases had normal CF synaptic density but also had CF extending to the outer 20% of the molecular layer but to a lesser degree compared to ET cases. MSA and SCA cases had similar CF pathology: a dramatic reduction of CF synaptic density and the regression of CFs in the molecular layer. Additionally, MSA cases had a unique CF pathology that CFs formed collaterals that run parallel to the PC layers, a pathological feature not seen in other diagnostic groups. We performed unsupervised cluster analysis to look whether the 5 diagnostic groups would segregate based on four pathological features: 1) PC counts, 2) torpedo counts, 3) CF synaptic density, 4) CF extending to the outer 20% of the molecular layer. We found that controls segregated into one group whereas MSA and SCA cases segregated into another group. Interestingly, ET cases and PD cases co-segregated into two separate groups. When compared two ET-PD clusters, we found that the presence of rest tremor could reliably distinguish these two clusters. 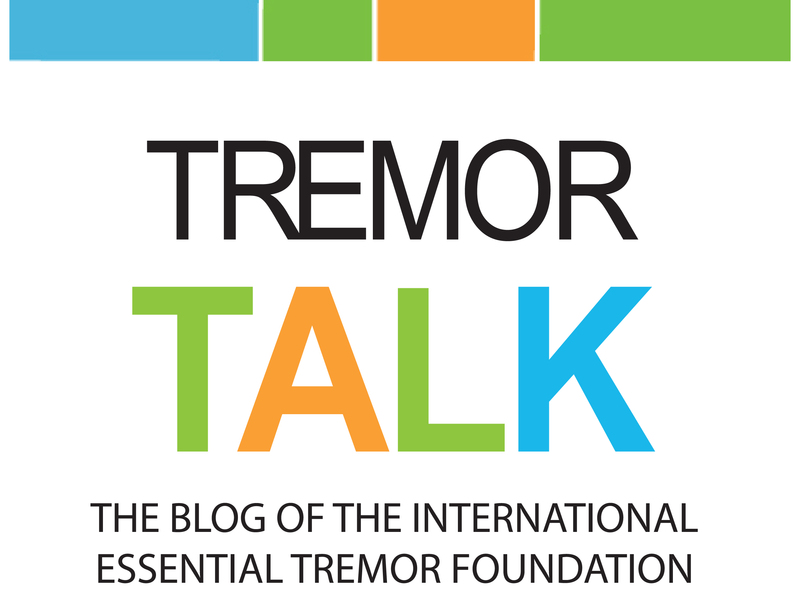 Our data suggested that tremor disorders shared some similarity in CF pathology and the degree of pathology was related to the tremor phenotypes. We wrote a manuscript based on these exciting results and we will submit the manuscript once the co-authors review the manuscript. We plan to submit the manuscript in July 2016. IETF is listed as a funding source. We will expand our sample size and we will specifically study ET cases with and without rest tremor to look at the differences of CF synaptic pathology. Specific Aim 2: To study the distribution of EAATs and abnormal CF-PC synapses in ET cases and controls. We are still in the process of optimization of EAAT2, VGlut2, and calbindin triple immunofluorescence in the postmortem human tissues. Since EAAT2 and VGlut2 antibodies are very difficult to work with, we systematically tested each antigen retrieval conditions and varied the concentration of antibodies. In the meantime, we had breakthrough in investigating EAAT2 levels in ET dentate nucleus. We had performed quantitative immunohistochemistry of EAAT2 in 76 ET cases and 41 controls. We compared the EAAT2 levels in the cerebellar cortex and also in the dentate nucleus between ET cases and controls. We confirmed the findings in our previous, small-sized study that ET cases had decreased EAAT2 levels in the cerebellar cortex and had increased EAAT2 levels in the dentate nucleus. EAAT2 levels in the cerebellar cortex was inversely correlated with PC counts, which further supported the hypothesis of excitotoxicity in ET. We submitted this work to Parkinsonism and Related Disorders and IETF is listed as a founding source. To further test whether the imbalance of EAAT2 levels in ET cerebellar cortex and ET dentate nucleus could generate tremor, we are in the process of establishing an animal model. We are testing lentiviral constructs that is capable of over-expressing EAAT2 or knocking down EAAT2 by siRNA, which will allow us to locally manipulate EAAT2 levels in the animal models. Specific Aim 3: To study the levels of molecules that regulate CF-PC synapses in ET cases and controls. We found the levels of GluR2, a master regulator of CF innervation of PCs, were decreased in the cerebellar cortex in ET cases. GluR2 is a PC-specific molecule and GluR2 is only expressed in the PC dendritic spines, which plays a critical role to control CF synaptic distributions on PC dendrites. Loss of GluR2 in mouse models could lead to abnormal CF-PC synaptic distributions, similar to ET pathology. Therefore, we anticipated a decrease in GluR2 levels in the ET cerebellar cortex. Indeed, we found a dramatic decrease in GluR2 levels in ET cerebellar cortex by Western blot analysis in 16 ET cases when compared to 13 age-matched controls. GluR2 levels were inversely correlated with abnormal CF synapses on the thin, spiny PC branchlets (Pearson’s correlation, p <0.01), and also inversely correlated with the number of CFs extending to the outer 20% of the molecular layer (Pearson’s correlation, p <0.01). Future Directions: We will further investigate the levels of other molecules that could regulate CF-PC synaptic distribution, such as Cav2.1 and Dab2IP, in the cerebellar cortex of ET cases and controls.